It was bound to happen sometime, and all we can really do is be thankful that it happened in such a completely epic way. Beyoncé has become a meme called #BeyonceAlwaysOnBeat, and it's going to completely ruin any time that you might want to spend on the Internet. Why? Because all you're going to end up doing is watching a thousand of these #BeyonceAlwaysOnBeat videos and laughing until you can barely breathe anyway. The pop singer's endless perfection is something that is constantly reinforced every day. I mean, remember when Jay Z allegedly bought her a Game of Thrones dragon egg? Or when Beyoncé dropped a surprise album that went platinum? Basically, if Beyoncé is involved in it then it's almost certainly guaranteed to be awesome, and this meme is no different. It's a deceptively simple concept. No matter what song from what genre you layer over Beyoncé's smooth moves, she will always be dancing on beat. Hence, #BeyonceAlwaysOnBeat. The songs range from pop to gospel to R&B to rap to the Backyardigans theme song, of all things, and Queen Bey is still there twerking along perfectly on beat in a way the rest of us can only hope to emulate. All the creator, Twitter user @MascotMY_Tweets, wants out of this meme thing is for Beyoncé to acknowledge it, and I can't help but want the same thing. After all, think of the awesomeness that could ensue if she acknowledged it in one of these six ways. Much like Taylor Swift acknowledge the "no its becky" meme with a t-shirt advertising it, so too could Beyoncé wear a shirt advertising #BeyonceAlwaysOnBeat. Heck, her name doesn't even need to be on it. Maybe the next time she and Nicki Minaj team up to make a music video, their jerseys should read #AlwaysOnBeat. Imagine a world in which the next #BeyonceAlwaysOnBeat video is posted by Beyoncé herself. And it's literally her dancing to one song and then cutting the same dance moves into videos with ten other songs. I would watch that forever. During her next music video, Beyoncé could take a break from the music in order to start dancing to a medley of different songs, both slow and fast, with the exact same dance moves, proving that, no matter what, she is always on beat. Or, even better, the next Beyoncé concert could feature her singing a medley of her favorite hits when, suddenly, there's a "sound malfunction" that leads to a bunch of different songs playing instead — while Beyoncé keeps dancing until they "resolve the issue." Suddenly, the audience notices that no matter what the song is... gasp, she's always on beat. If Beyoncé brings BeyonceAlwaysOnBeat to the next MTV Music Video Awards, she would shut it down. She would shut it down so completely that they wouldn't be able to start it again. As amazing as this meme is, Beyoncé acknowledging it would elevate it to an all new level of awesome. 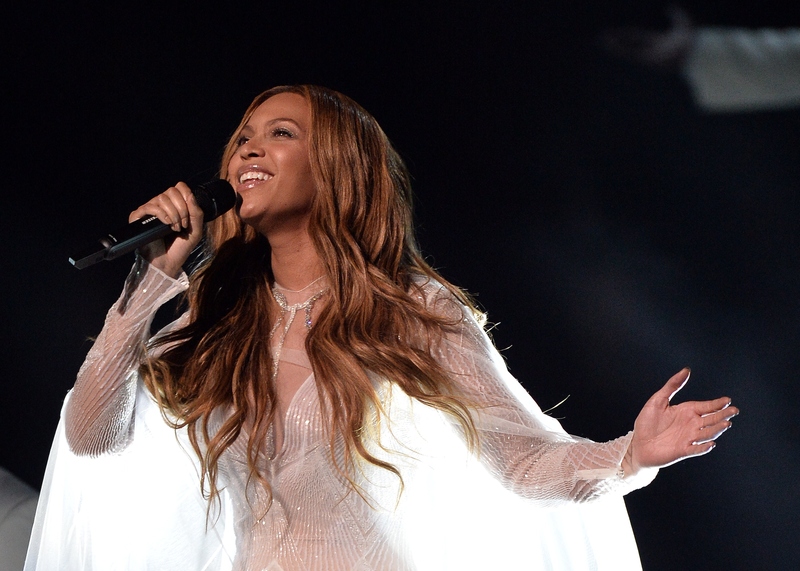 Fingers crossed Queen Bey gives an official shout-out in one of these forms sometime soon.